Drivers in Ontario pay some of the highest car insurance rates in the entire country. Many Richmond Hill residents were hopeful that the Liberal Government’s campaign to reduce insurance costs would provide a much needed break, but unfortunately “the Liberal’s much-vaunted fifteen per cent reduction in rates faltered and stumbled, some seeing reduction, most not.” With the cost of car insurance on the rise, it may seem like wishful thinking to get a decent rate in order to drive safely. Luckily, we’ve got your back with the best online tools available to find the best rates for your vehicle. Why Is Car Insurance in Richmond Hill so Expensive? The GTA is one of the fastest growing city clusters in all of Canada. Unfortunately for most drivers, this means an increase in car insurance costs. The FSCO approved a 1.03% increase in insurance cost for the fourth quarter of 2017, and looks like rates are only going to increase from there. The city is only growing, with plans to revamp stretches of Yonge street for even more residential opportunities in the coming decade. Increased populations in large city-centres means a higher propensity for accidents, higher risk of theft, and more wear and tear on your vehicle. Although an increase in population means a higher insurance premium, it also means that insurance companies have had to diversify the kinds of coverage they offer in order to keep up with the growing demand. 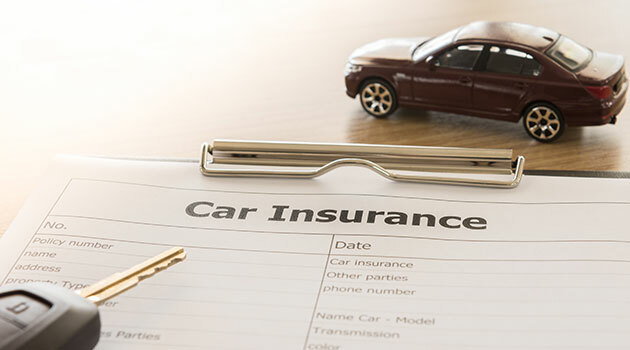 There are more car insurance options now than ever before, and Shop Insurance Canada makes it simple to sift through all of those available options in order to find the policy that’s right for you. Comparing your car insurance quote to others available on the market gives you insight into average costs for car insurance in Richmond Hill, and gives you the tools to ascertain the best price possible for your vehicle. Shop Insurance Canada gives you 25+ quotes instantly, and enables you to secure that rate at any time. Finding out which coverage available in Richmond Hill is right for your car depends on a whole host of factors. Auto insurance is on the rise, but that doesn’t mean that it isn’t possible to get a cost-effective insurance rate. Remember that getting the absolute bottom-dollar price on your car insurance doesn’t necessarily mean it’s the right coverage for you. Do you often drive long distances? Is your vehicle parked outside for most of the winter? These and many other factors determine the kind of insurance quote you will receive. That’s why it’s best to explore online insurance quotes that provide you with a host of options, so you can find the cheapest car Insurance in Richmond Hill without wasting your time. If you’re looking for the most cost effective car insurance in Richmond Hill, check out our website or call Shop Insurance Canada. We’re passionate about finding our customers the best possible insurance rates in Richmond Hill, while remaining 100% free. Have You Considered Investing in The Smaller Business?